The winter solstice peace has finally settled and I am heading up North, Scotland, to indulge in good food, good company and great amounts of Whiskey. In the little spare time I had the last month, I have had a chance to play Skyrim. Some people may call me a sad character, but I apply tuning to all aspects of my life – including the computer games I play. Here follows my guide to the optimal Skyrim Character Build. If you do not play Skyrim, this article will be lost on you, but I hope to post more interesting things during this vacation. Here follows my guide to the Optimal Skyrim Character Build. If you do not play Skyrim, this article will be lost on you. I like to tune things by first knowing the engine I am tuning for, and then looking for the optimal hill to stand on in the landscape of design points. I both want the leveling experience to be smooth at lower levels (making me enjoy the process), while at same time not sacrificing ultimate power at later levels. Also, I don’t want (like it was often the case in older Elder Scrolls games) to spend stupid amounts of time on leveling some irrelevant skills. This character is capable of sneaking silently in Heavy Armour (due to Muffle enchant). In dungeons, you can sneak up on pretty much any enemy and one hit them with a backstab. But you are not safe, sometimes you do not have time to hide or people see through your sneak. The combination of legendary deadric weapons with shock damage enchant (which stacks with the Destruction perk) will make short work of any enemies that take you by surprise.Because your destruction skill is fortified to 100% with enchants, you will not spend charges on the item either. Having 100% fortified destruction also means you can take down pesky ranged attack enemies (ex: dragons, vampires and necromancers) with either shock or fire (I prefer shock, it just looks cooler). You can do this while having your sword equipped, or you can dual wield spells. This takes away all the hassle of managing items. However, the resistances of the Nord, Dumer and Breton are very useful. Since you are limited to 12 apparel enchantments, any amount of additional resistance is good news. I started the game as Imperial because I liked the money perk – but later discovered that money is abundant later in the game. Looking back, I should have picked Nord. My one other consideration would be the Orc, getting double damage output from berserk could make for some spectacular videos for YouTube and for powerful boss takedowns. With regards to attributes, I recommend you don’t go higher than about 300 in Magicka. As your character progresses, you will gradually eliminate the need for this attribute through enchantments. You just need enough of it to cast the highest level spells once. Stamina is somewhat useful for carrying lots of loot and doing power attacks. A ratio of 3:2 between health and stamina is probably around right. In order to gain the benefits of crafting early, when money is scarce, you need to gradually train both Alchemy, Enchanting and Smithing. Be on the lookout for Armour that has the muffle enchant. If you see it, buy it. While you are walking around town, cast transmute to turn iron/silver ore into gold ore.
Buy all ingredient that cost less than 100 gold (you will soon make this money back). Sell all potions you have acquired or created that are NOT Magicka or Heath potions. Buy all common, lesser and petty soul gems. Including the ones that already have souls in them. Sell misc. stuff you have picked up on your travels to get the money you just spend back from the merchant. Don’t spend gold on anything else than the above routine – just don’t buy anything else from vendors. After a few iterations, you will at least break even. Also, while this may seem complicated at first, it takes only a minute or two once you have done it a few times. I go through this iteration once per visit to a city, and every time your crafting gear gets a little better – until you get gear that boosts your Alchemy and Smithing skill with +150% or more. You will also be able to creating Fortify Enchanting Potions that add +32% to your skill, which adds a significant boost to your late game gear. This routine also makes sure your gear levels with you, and it positions you to create the super powerful dragon/deadric plate armour and deadric dagger late in the game. Lets talk about how you get there. The focus of the first level is to build some basic survivability, while ensuring a strong setup for the later levels. The game is quite gentle on your in the beginning, so you get some space for error. After escaping the dragon and visiting the standing stones, choose the mage stone. You will be doing a lot of spell casting soon. After getting to Whiterun, your first task should be to join the companions and pursue their quest line till the very end of it. This gives you two advantages: 1) You get the ability to transform into a werewolf which is very useful for boss encounters. 2) You get access to free warrior training (more about this later). This strategy levels up Destruction, Alteration, Sneak, Restoration and One-Handed, giving you that edge you need during combat. You will be wearing cloth armour, since the early game alteration spells are better than what you can craft (and it adds skill points too). Cloth also improves your chances of sneaking successfully. Heavy Armour: Cushioned – prerequisite, unlocks power! “Wait a minute”, you may say: “How can I level up Heavy Armour when I am not using it?”. Glad you asked: This is why you should be joining the companions. Once you have reached a high enough status in the guild, you can recruit their members as followers. One of the followers (Vilkas, I think) will train you in Heavy Armour. At the first given opportunity, start doing this right after EVERY level up (you can only pay to train 5 skill points each level). The beauty of having Vilkas as a follower is you can trade with him and get back the gold you spend on training. Free training. At level 30, you should have nearly 100 skill in heavy armour. A fair amount of skill in Destruction and Sneak and some basic skill in One-handed and Alteration. As you hit level 31, you can take the Heavy Armour: Conditioning perk and you can now move around unencumbered, muffled (if you found the enchantment) and with high speed, in the best armour you can craft. Don’t worry if you cannot craft Deadric or even Ebony yet, you will soon get there. Equally balance Magicka, Stamina and Health when leveling up to 30. Enchant a blade with Soul Trap and use it in your off-hand to finish off any enemies whose soul you want. Go to Solitude to work on becoming the thane there. You may have to do the Bard College quests first. The thane quest starts in the jarl’s castle in Solitude. It is a good idea to stick to the roads at early levels, and stay away from mountains. Trolls and necromancers can make short work of you while you are still weak. Travel with the coaches you find at stables to get to large cities, don’t try to walk there. When you hit level 31, you have established a basic fighting technique and is now able to wear heavy armour while dual casting deadly destruction spells that knock enemies back. Likely, you will be wearing dwarven armour (with the nice 25% bonus if you took my advise) at this point. It is time to bolster your defenses against spell casters, dragons and range attackers, all of which will be common now. At this point, it is probably a good idea to switch to the Lover’s Stone, since your skill leveling will be more varied. Sneak: Finish off the sign, the last skill is particularly useful. Take Deadly Aim/Assasins Blade only if you want to dual wield daggers. With fully leveled up sneak and Quiet Casting, you can play a lot of interesting tricks on your enemies. Should they get close, you can finish them off quickly with enchanted, One-hand weapons. Stop adding Magicka during level up when you hit about 300. Destruction spells will be free soon. If you have trouble finding money to buy ebony, take the Dragon Smithing perk. Dragon scales and bones are abundant and you can experiment with different enchants until you have maxed out Alchemy and Enchanting. As your Destruction skill gets around 75, you need to work on the College of Winterhold quests. They will give you higher level spells. Do the Azura Star quest and get the Black Star. This gives you an unlimited amount of Grand Souls. Do the question Boethia’s Calling to obtain the Ebony Mail. This rounds off your sneak abilities very nicely, especially if you have not found the Muffle enchant yet. Continue the trick used to level up Heavy Armour. The companions will supply you with free training in Archery, Block and Two-Handed. While you will not be using these skills – you should still train them 5 points every level. They contribute to your total levels and perks. Disenchant the Shield of Solitude (obtained by becoming thane of Solitude). It contains an enchantment that can be stacked with the regular Resist Magic on the same item. This allows you to reach the cap of 85% Resist Magic by enchanting a necklace and a ring. If you are Nord, enchant your boots with Resist Fire. If you are Breton, you can skip on enchant on the necklace slot and get both Resist Frost and Resist Fire. With the proper combination of resistance enchants (as per first section) you can stand in the middle of a dragons breath and take very little damage. When you have reached the build above, most enemies will fall fast to either your spells or your blade. Enemies will still level up with you, so prepare for some interesting fights. From here, there are a few paths you can take that will make your character even stronger, and more fun to play. Level up Alteration to get another 30% magic resist. This frees up an enchant slot (because Resist Magic caps at 85%) and allows you to boost one-handed damage even further. With the proper Fortify One-handed enchants, you can one-hit most enemies. Level up Pickpocket and kill people by placing poisons (which you can make very strong now) in their inventory. Plunder entire cities, steal people’s weapons and armour and watch them helplessly try to fight you. Level up Conjuration (you already have a high skills, you used Conjured Sword, remember?) and summon an army of minions to do the dirty work for you. Level up Archery and destroy enemies from afar while comfortably hidden with Sneak. First: Use your super powered enchanting skill to create items that boost the skill you want to level up. To level up two-handed and archery: Take you newly crafted, legendary great sword and deadric bow to a dragon or giant fight. Use items to boost damage output. Leave your companions at home. As I played the game this far, I realized there is an interesting variant of this strategy. Overall, I think the cloth wearing technique for the first 30 levels is pretty solid. But it could be argued that you could instead use a shield and either destruction or a one-handed weapons for survivability (instead of sneak) until you reach get sufficient skill to make heavy armour weightless and fast (I find that moving in heavy armour is simply too slow, so I defer until I get the proper perk). For such a build you would completely skip the Illusion and Sneak trees and instead focus on boosting melee damage output until you can eventually give up the shield as you acquire strong, enchanted gear. Without sneak, you will get into some much nastier fights, but you can counter this with additional skill in one-handed weapons. The basic gear you will be aiming for is mostly the same. Though you may free up the Muffle enchant slot for more one-handed damage output. 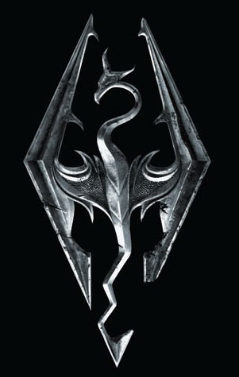 In this very off topic blog post, i have described some of the strategies I have used to optimize my Skyrim game experience. I am fully aware that not everyone enjoys computer games in this way – but this is the way I like to play it: With max power. I have created a new category on this site for musing like these. If you are only interested in my technical ramblings, you can simply subscribe to individual categories found on the right side of this page. So you don’t have to sacrifice the various perk points. The stone is located directly north of the Statue to Meridia and north-west of Solitude, about two-thirds of the way between Fort Hraggstad and Solitude. Very good guide by the way! Nice blog, hope you post more like this! I agree with the destruction flattening out concept, it (unlike the standard weapon set based skills) doesn’t scale in power but scales in how much it costs to cast spells, this ultimately in my opinion makes it less viable in game when it comes to pure damage output when it is compared to say, 2 melee weapons or a bow. To be honest in my build i completely omitted magicka all together mostly because I enjoy far more building completely for end game in my skills in any game, not just skyrim (I find more joy in doing vast quantities of research and figuring out an end game build before playing a game than just getting stuck in). I did read somewhere that for pure damage per second you can optimise with Archery. I will do some proper analysis into this because i think it would be quite interesting to see which is better, Archery or Dual wielding. One thing however i find to be a lot of fun when doing the smithing/alchemy/enchanting optimisation is using archery pots. Your damage output goes through the roof. One thing however which is useful with destruction is how easy it is to kill dragons with it (not that they are difficult with my build either but alas). I recently built a mage character and out of interest leveled him using the console and adorning him with every spell. The master spell for destruction is absolutely fantastic for killing dragons. Because it’s a constant stream of lightning it drains all their magicka and they can’t attack you, all you have to look out for is them biting your head off. I completely agree with you on your choice of stones, the only reason i included them was to show how Breton and Argonian as a race choice become obsolete because you can replace them with a combination of standing stones, werewolf disease and if it pivots on the water breathing from Argonians, one helmet enchantment. Anyway I’m going to have a look at the scaling on the daggers vs the bows, i’ll hopefully be able to write back with some actual figures. You have missed the Notched Pickaxe, which increases your smithing by a further 5 points, also I’m relatively sure that archery scales a lot quicker than one handed late game, so it may be worth looking into that. I am not sure however if it is more than the constant effect you are getting from your spells. However, this could be counter balanced by the reflect of damage from your heavy armour by putting no points at any time into either magicka or stamina (which is viable, i have done it on the hardest difficulty) and put all points into health. Then also enchanting your body with health and health regen. This allows you to never worry about dieing (you can literally tank a giant to death at certain points in the game). The muffle could be replaced with the fact that the majority of the time you will be a fair distance from your target. This also means that you can enchant your helm with underwater breathing, which, with becoming a werewolf (resist disease), makes up for not being an argonian. Now considering standing stones. The three that i find to blend into the build most effectively would be The atronach, lady and lord stone. With the atronach allowing you to effectively ignore 50% of the magic attacks being thrown at you (allowing you to replace your spell resistances with elemental resistances). The lady stone improving your health regen allowing you to tank better (although i believe the atronach is better). And the lord stone allowing you to get 100% magic resistance without being a Breton, as the 50 points of damage resistance doesn’t do anything end game due to the fact that you can only ever resist 80% of all incoming damage, anything above that is wasted. You are right, I forgot the Notched Pickaxe. Thanks for adding. I found that Destruction scales best at the low levels, but as you approach higher levels, you will eventually need Archery to do good ranged damage. However, Archery by itself (trained to 100, which is easy) is powerful enough at later levels. With 100 in all crafting skills, you can make bows that literally do over 200 points of damage per hit). You could invest in it at later level to get another doubling and the critical hit bonus, but I am not sure it is worth it. I did notice that Destruction flattens out at later levels and does very little damage against ancient dragons when you are in the 70-80ies. But fortunately, the skills you acquire in Destruction at earlier levels add to the damage of enchantments and makes you drain charges of weapons very slowly for one-handed weapons. So they are skill points well invested. It may be viable to switch to Archery enchanted gear at later level, instead of the Destruction gear. This is something I will experiment with. I agree that health/stamina is the place to put most your attribute points. But I need a little magicka to cast the high level Conjuration spells (like Storm Thrall). I am currently tanking giants and their mammoths on Master level difficulty and three-hitting them with dual wield daggers (shields are for wimps :-). If you can stay at range I agree there is no need for Muffle enchant – though bows only do 3x Stealth Damage. But I have found myself sneaking around inside houses a lot where the 15x dagger backstab bonus is REALLY handy. With regards to standing stones, Atronach is my sign at the highest levels. But I do like the experience bonus stones until I get there.